Canada is widely known for its hockey, maple syrup, and brutally cold winters. But you can bet your back bacon that Canadians also enjoy some special products only available in the Great White North, many of which are completely unknown to its neighbors to the south, at least outside of specialist importers. Here’s a salute to some of the items that are usually only available on Canadian soil. Kraft Dinner, or “KD” as it’s affectionately (and now formally) known in Canada, is the country’s unofficial official food. It been reported that Canadians consume 1.7 million boxes of the neon-colored pasta tubes a week, out of the 7 million sold globally. 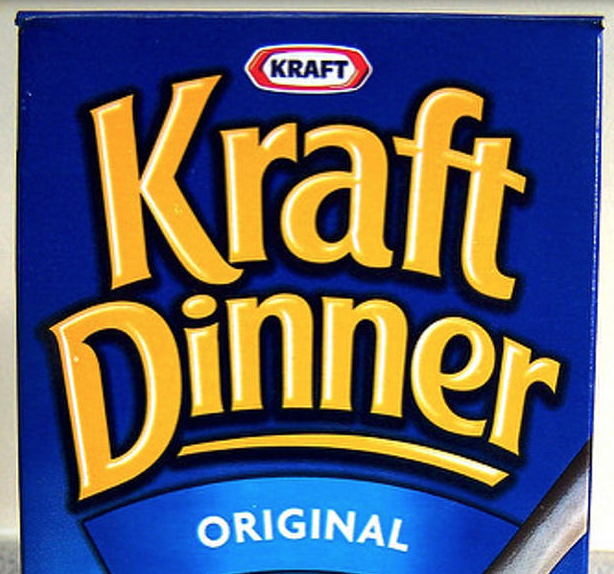 Yes, you can get similar pasta-and-powdered cheese concoctions in the United States, but you can’t find the “KD” packaging anywhere in the U.S., and there tend to be more varieties of the pasta in Canada as well. 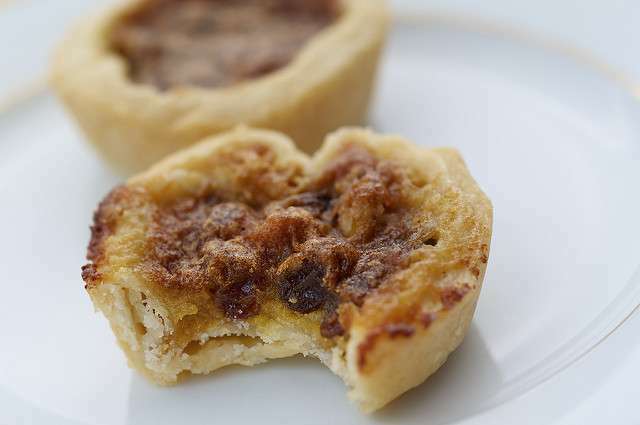 These yummy desserts—pastry tart shells filled with maple or corn syrup, sugar, butter, and raisins—are a distinctly Canadian treat. Some articles have traced their origins to pioneer cookbooks published in the early 1900s. However, a 2007 Toronto Star article suggests they date back to the mid-1600s and the arrival of the filles de marier, or imported brides, from France. Regardless, these desserts are a seasonal staple at the Canadian Christmas snack table. And while some small American bakeries might offer butter tarts, in Canada processed, pre-packaged versions are found at most convenience stores around the country. Yes, that’s really a thing. You may think milk in a bag defies the laws of physics come pouring time, but the bags are smartly placed in a pitcher container and the corner is snipped off at an angle for easy pouring. 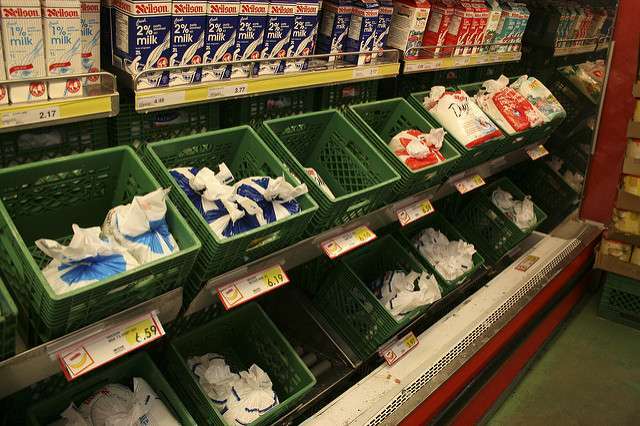 Bags of milk are still popular in Ontario, Quebec, and Eastern Canada, but have been phased out in other parts of the country. Some American states have flirted with the idea of bringing bagged milk to the masses, but the practice doesn’t look like it’s catching on. Similar to the U.S.-based REI, Mountain Equipment Co-op was founded in 1971 by four mountaineering friends who wanted to offer Canadians a low-cost way to purchase outdoor equipment without having to go to the States. 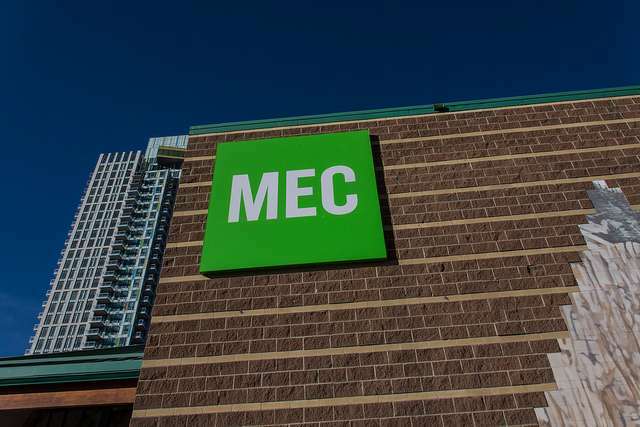 Today, MEC still runs as a co-op, offering memberships for $5 (you need one to purchase anything at the store). It’s found in 18 cities across the country and boasts 4.5 million members from Canada and around the world. Mention the words “Quarter Chicken Dinner” to any Canuck and the words “Swiss Chalet” will immediately come to mind. The restaurant is known for chicken, ribs, and one-of-a-kind dipping sauce. Bonus point for anyone who remembers the cheesy Swiss Chalet TV commercials of the 1980s with iconic images of those juicy succulent chickens rotating on skewers. 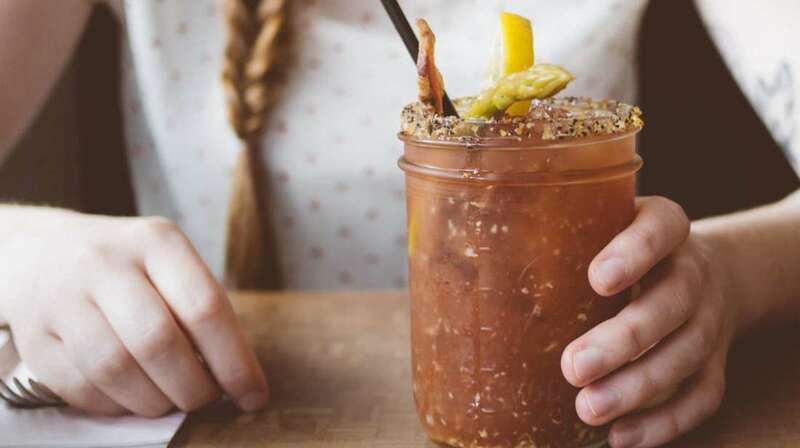 Americans may have their Bloody Marys, but the Canadian hangover cure (and cause) has always been found in a Caesar. Similar to a Bloody Mary, the recipe typically calls for 1-2 ounces of vodka, two dashes of hot sauce (Tabasco is commonly used), four dashes of Worcestershire sauce, and 4 to 6 ounces of Clamato juice. 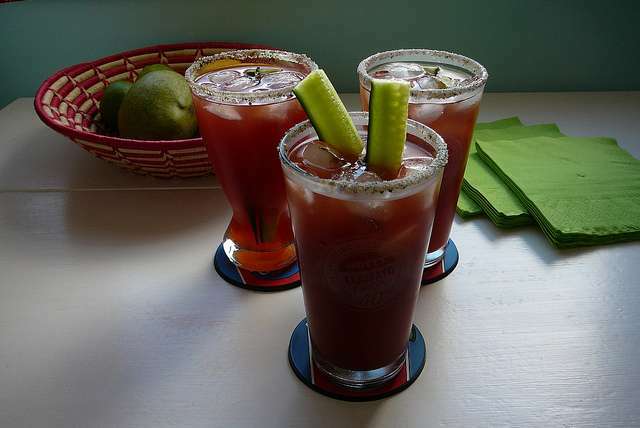 Don’t forget the celery salt and pepper on the rim! The crowning glory are the stalks of celery, olives, limes, and other greenery that may accompany it. Serve over ice and enjoy. Who would have thought that a blend of wheat, rye, and flaxseed mixed with boiling water would be such a hit? Named after the iconic Red River that flows north into Winnipeg from the U.S., the hot cereal has been a staple in many homes since 1924. Red River Cereal was once imported into the U.S. by Smuckers foods of Canada, but it appears to have been discontinued.